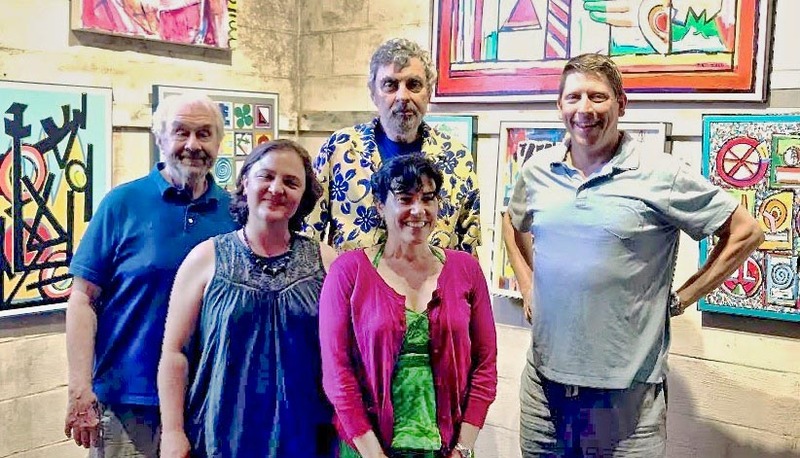 Crit Works Artists – Left to Right: Gary Bergel, Joy Bridy, Doug Kinnett, Nancy Polo, Jason Care. 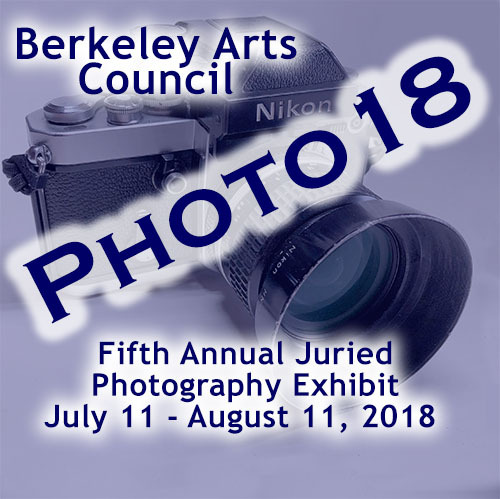 Five exhibiting regional artists who meet and critique works in progress twice monthly in a “Crit Group” setting are exhibiting recent paintings, banners, and photography at the Berkeley Art Works from June 13 through July 7. The Berkeley Arts Council iannounces “Fire in Many Forms” on exhibit from June 6 through July 7 at the Berkeley Art Works Gallery, 116 North Queen Street in Martinsburg. The exhibit is curated by ceramic artist and Berkeley Art Works Co-op member Annette Verna. The exhibit presents six ceramic artists, each working with different firing methods, including Raku, Salt, Soda, Wood, and Smoke firing. The artists’ kilns range from simple containers to more sophisticated gas and wood-fired kilns. While these atmospheric firings can be unpredictable, the pieces on display demonstrate the typical and fascinating characteristics of each type of firing and the mastery with which these artists work with fire. In contrast to the fired work, the show also features some unfired work. The artists represented are all working ceramic artists hailing from our region of West Virginia, as well as New York State, Pennsylvania, Maryland and Virginia. The goals of the exhibit are to describe the artists’ diverse work and interests, and introduce the community to a variety of firing techniques. After visiting this show, you’ll leave with new thoughts about the many ways ceramic artists work in clay, and the knowledge to identify and appreciate these types of firings when you see them. Meet the artists at an opening reception on Friday, June 8 from 5-7pm. Gallery hours are Wed-Fri 11-5, Sat 11-4. Thanks to the BAC for the chance to participate. Lots of impressive work-thanks for making it hard to choose. 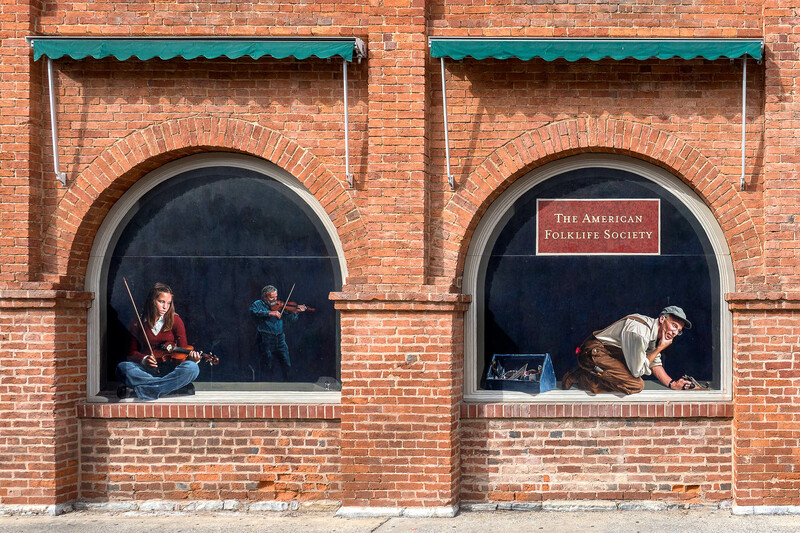 “American Folk Life Society” Mural by William Cochran on the Market House building. – Martinsurg was the “sock capital” of the world for the first half of the 20th century; and Interwoven Socks commissioned ads from the country’s most famous illustrators, including Norman Rockwell, J.C. Leyendecker, and N.C. Wyeth. – Martinsburg’s Baltimore & Ohio Railroad roundhouse is the only remaining cast-iron framed roundhouse still standing in the world today. Although most residents don’t know it, Martinsburg and Berkeley County, WV, have a notable art heritage. This area is the birthplace of several famous artists, the source of much celebrated art created at the behest of local businesses, and is the subject of paintings and engravings. The exhibit in the Berkeley Art Works Gallery will focus on the various kinds of art and artists who are part of the history of the area. Notable artists, both past and contemporary, and various forms of art, including painting, illustration, sculpture, and architecture, make up this rich tapestry of the visual arts which has its roots in the region. Images of some of the works and a narrative about the art and artists will be on view. The exhibit will be on display through June 2; 116 North Queen Street, Martinsburg. Gallery hours Wed-Fri 11-5, Sat 11-4. 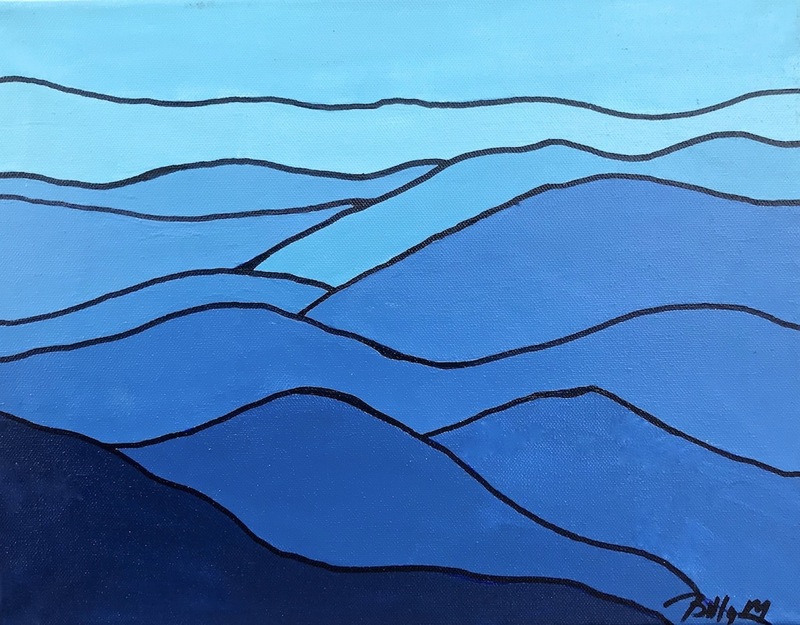 The Backspace Gallery at Berkeley Art Works is currently featuring 40 works in various media by 18 Blue Ridge Community and Technology College students through Friday, June 8. The students were part of Art 205 Creativity, Color and Design and Art 299 Independent Study courses taught by Gary Bergel, BAW co-op artist and Blue Ridge CTC adjunct faculty member. 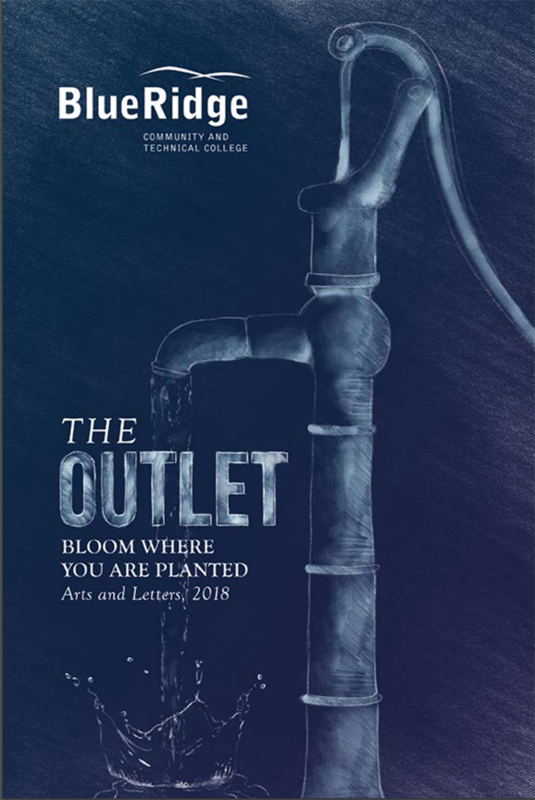 Recently, Bergel and Doug Kinnett, another BAW co-op artist, juried arts works to be included in this 2018 edition of The Outlet, the arts and letters journal of Blue Ridge CTC. 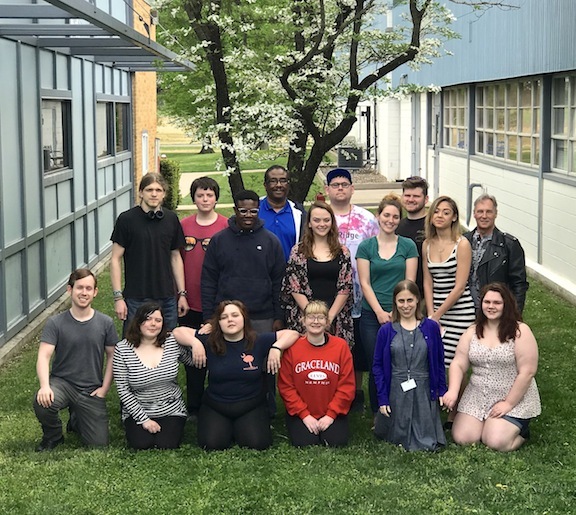 Come and greet these student-artists at our 5-7 pm Reception on Friday, June 8.